In the educational market, micro:bit control boards are becoming more and more popular. However, a single micro:bit control board is not easy to test with other sensor modules. 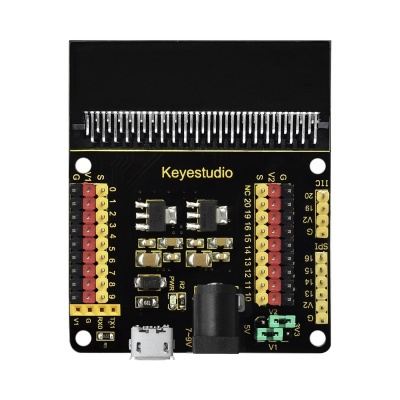 We particularly design this keyestudio sensor expansion board V2 for micro:bit. 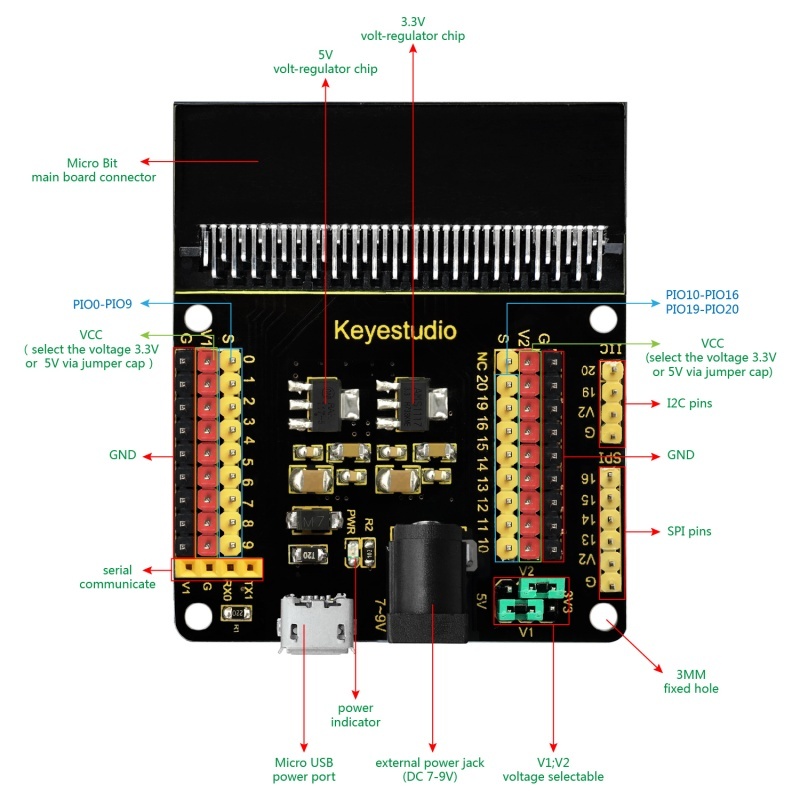 The sensor shield V2 breaks out all the PIO ports on the micro:bit control board into 3PIN interface (GND, VCC, Signal), very easy to connect the micro:bit control board and other sensor modules. 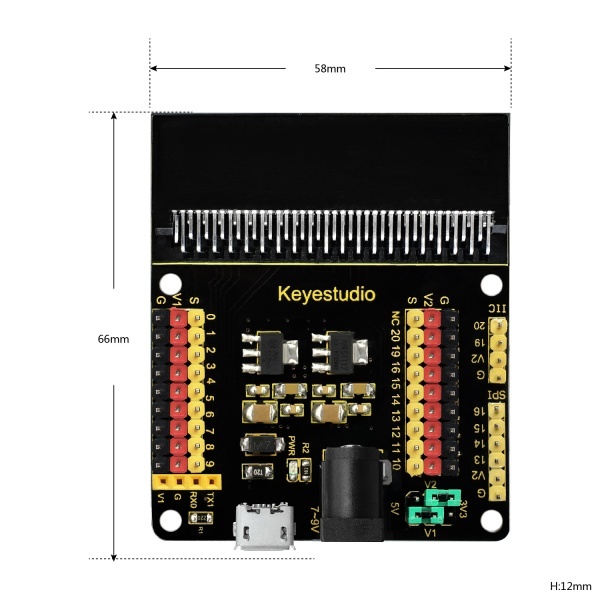 Moreover, it also extends some commonly-used serial communication interfaces into pin or female headers with 2.54mm pin pitch, such as I2C and SPI communication pins. So that this shield will allow communication between micro:bit control board and other communication devices. You can power the micro:bit board through a black DC jack (DC 7-9V) or a mciro USB port (DC 5V) on the shield. When power the sensor, you could select the supply voltage 3.3V or 5V via jumper cap V1 and V2. Send the code to your micro:bit board, and insert it into the sensor shield. Then set the V1 and V2 to 5V output, power it via DC jack (DC7-9V). 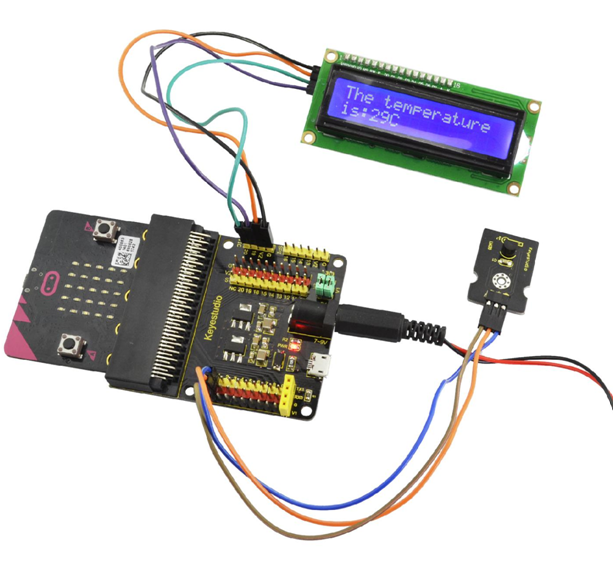 Connect the LM35 sensor and 12C 1602 LCD to the sensor shield using jumper wires. Finally display the current temperature value on the LCD. You could refer to an example picture below.